Growing a small business can be difficult. For entrepreneurs just starting out, it can seem as if there are infinite factors that need to be accounted for. But no one can give their full attention to all aspects of a business at all times. As such, it is important to know where to concentrate efforts for maximum positive impact. With so much on your plate, it may be difficult to know what to focus on. 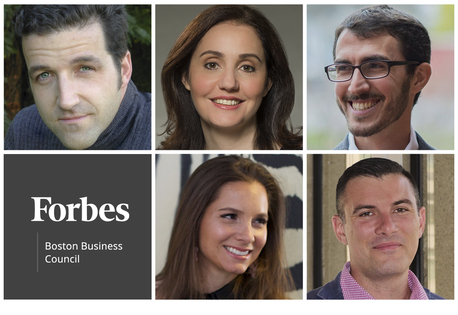 To help, five members of Forbes Boston Business Council share what they think is the most overlooked factor when growing a small business. Members share their tips on what not to overlook in a growing business.Photos courtesy of the individual members. Small businesses can be hard to find, and sometimes easy to forget. Out of sight, out of mind. Your pipeline, backlog and ability to execute your current projects are most important. Show some face time to your best clients and prospects. If you make yourself a household name, they’ll think of you first. Make personal deliveries when others would ship a box. Be personal, show them you care. – Matteo Forgione, P.E., Forgione Engineering, Inc. Your lawyer is your first investor. The startup lawyers defer fees, give discounts and ensure startups are poised for success. This is everything from founder equity splits, new hire documents, incorporation or 83(b) filings — miss that and you just lost a potential $10 million in tax-free earnings. – Zoë Barry, ZappRx, Inc.